The X-Legged GH Dun is a fast sinking Attractor Pattern that has a sparkling body and flexifloss legs. It is very effective when fish are deep. Tag : Fluorescent red floss. Body : Pearl and dun sparkle chenille. Legs : Fluorescent black flexi floss. 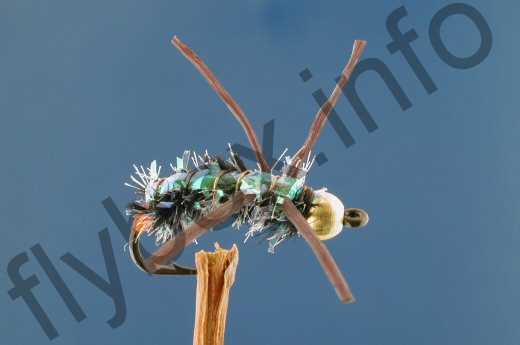 Currently there are no comments about the X-Legged GH Dun fly pattern from other fly fishermen yet.